Microsoft has begun taking pre-orders for its windows RT based tablet called as Surface RT at starting price of $499 USD(with keyboard touch cover). Customers who’re willing to go shopping for their next tablet are kind of confused with slew of choices available, even within the same brand. Worry not, savior have I come to peach on the best option for you. Preaching the eye-appealing design of Microsoft Surface Tablets, I dare say that it is not just yet another tablet like those herds of android tablets, it is a fine example of exquisite design, which is more appreciable when we look at the touch/type cover (Touch cover and type cover are two types of keyboard attachments that can be clicked into surface tablet easily and also easily folded to work as a cover case to protect your tablet. Both of these work with RT and PRO version of the tab. 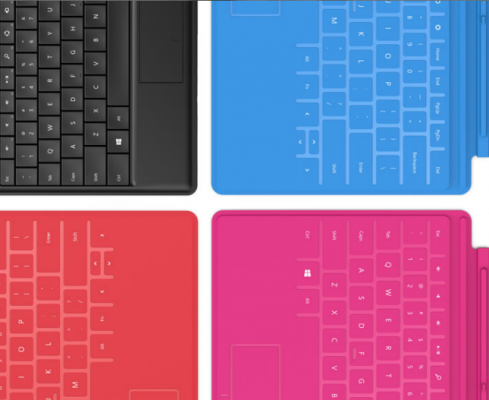 The major difference between Surface touch cover vs Microsoft Surface type cover is that touch cover has kind of capacitive keys embedded whereas type cover has physical moving keys). To make it robust tablet, it is made with VaporMg so that it could withstand force, pressure, unintentional wear and tear. The kickstand to support tablet on table is really useful. Both the tablets are of screen size – 10.6 inch. Lets talk about both these tablets and what they’ve to offer in our hands. Microsoft Surface RT is windows RT tablet which means that you won’t be able to run traditional desktop apps/software on it but metro-apps only. This also mean that you won’t be able to use third-party web browser like Mozilla Firefox or Google Chrome. Furthermore, it comes with secure boot feature which means that the tablet is locked to one OS and you can’t install another operating system on top of it. So, Surface RT is fully a tablet, can not be considered as a tablet ultrabook convertible hybrid pc even when it comes with dockable keyboard attachment. Specs-wise it runs on NVIDIA T30 processor and 2GB RAM. You’re not getting retina display here but Microsoft’s ClearType HD Display is also praiseworthy, although, the resolution is limited to 1366×768 pixels only. Wifi and bluetooth 4.0, full size USB 2.0 are present but unfortunately, you’ve to do without NFC (which is gaining momentum in android ecosystem). Furthermore, 3G, 4G connectivity is not inbuilt which leaves you to rely on wifi hotspot connectivity for your internet related needs. There are two cameras, front and rear, of 720p HD quality for taking snaps or for skype calling. Microsoft claims 8 hours of battery on a single charge with average use. It is available in two variants – 32 GB, 64 GB. Moreover, it comes bundled with Office 2013 RT Home and Student Preview edition. Microsoft Surface Pro is tablet ultrabook convertible hybrid because it runs full fledged windows 8 os with ability to run classic desktop mode softwares as well, hence you can use it just as a tablet or also as ultrabook by attaching touch/type cover. 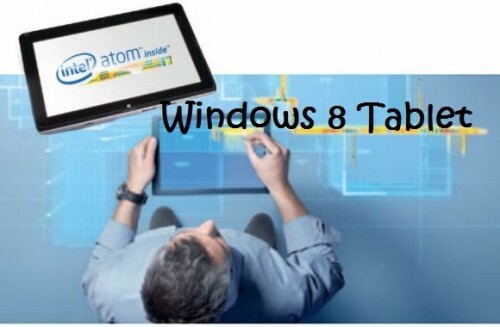 This gives you all the advantages of a laptop in tablet form factor and also access to thousands of softwares that you love and use on windows OS. 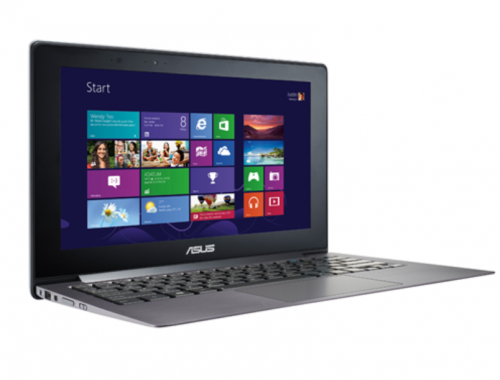 To yield such performance, it has 3rd generation intel core i5 processor along with 4GB RAM. Add to its beauty, it sports 1080p (1920×1080) screen resolution on 10.6 inch ClearType Full HD display. On the connectivity side, it matches Surface RT as NFC, 3G, 4G are not present whereas wifi, bluetooth are present. One important difference here is presence of USB 3.0 instead of 2.0 . It is also available in 2 variant – 64 GB, 128 GB. 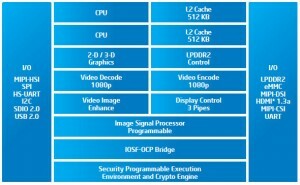 Listed above are the major differences.. Rest of the specs are similar.. Which one should you choose? I hope the above table has given you definitive points to help make your tablet buying decision easy. See what you need and accordingly make your purchase. 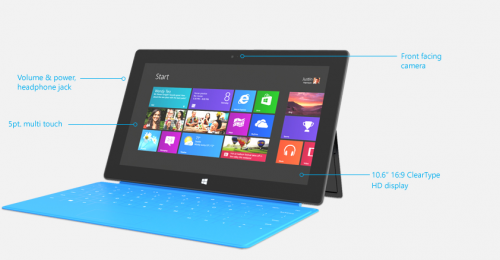 Also, compare Microsoft Surface tablet with Samsung Windows 8 Tablets. Saurabh kumar is one of the esteemed and popular blogger from India. Beside blogging, he loves coding also. He keeps exploring the tech world. He runs several websites, blogs and projects quite prospective. Don't subscribe All Replies to my comments Notify me of followup comments and replies via e-mail.